We provide customers across various industries with product and service solutions that ensure reliability and protection for data process/automation/acquisition industry. We maintain inventory, provide technical support, engineers custom solutions and offer training at our facilities or onsite for our customer’s convenience. We have tailored our services to provide “best value in its class” on the respective categories. We are a highly professional and fast growing company having a thorough customer oriented and client friendly approach. Our systems and culture is designed to meet the exacting requirements of our clients, right from the stage of concept, till execution and an effective after sales service, giving best support. High level quality of work and doing the things right in the first go, avoiding rework leading to prompt execution and services are the essence of CoiNel. We can provide solutions for problem with comprehensive knowledge & experience of the latest trends in Automation/data acquisition industry such as Ethernet, CAN, RS485, ModBus, Profibus, OPC etc. Our techno-economic solutions encompass project management, engineering & software, installation, commissioning, after-sales-services, and training, tailored to meet customer requirements. We also offer business-based maintenance ensuring reliability, performance and efficiency of the product. We provide all the process technology and the related engineering services that is needed in these industries. Our solution also includes “Life-cycle services “a concept for maintaining a customer’s plant or system over its entire life cycle. The product families consolidate all our capabilities into one integrated offer. We have designed various multichannel DAQ solutions which are customizable for various sensor inputs (temperature, humidity, voltage, current, 3 axis measurement, pressure, variable load and many more), embedded solutions incorporating tremendous microcontroller logic, storage interfaces, high-speed multichannel phased-coherent A/D and D/A that can be stacked together to form a complete ‘N’ channels turnkey DAQ solution. CoiNel multichannel DAQ solutions supports both Linux or Windows environment and are capable of remote operation and packed with high performance design for embedded operation. CoiNel also has designed Human Machine Interface (HMI) solutions that includes the electronics required to signal and control the state of industrial automation equipment. These interface products can range from a basic LED status indicator to a TFT panel with touchscreen interface. 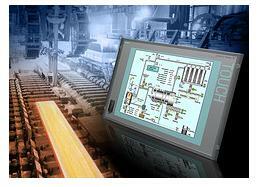 CoiNel offers a wide range of human machine interface (HMI) design for industrial automation needs. By creating value-added, standard product solutions and by offering customization, CoiNel can provide human machine interface platforms to meet any requirement.